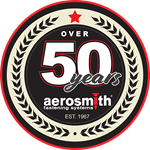 For over a half century, Aerosmith Fastening Systems has continued to lead in the development, manufacture, and distribution of hardened steel pins & tools used for superior fastening to steel, concrete, and many composite materials. 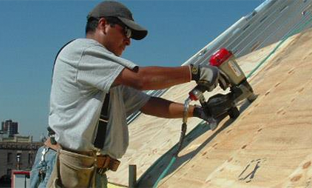 Each year millions upon millions in savings is 'banked' by Aerosmith end users in not only the world construction markets, but also in a wide variety of industrial/OEM applications. Aerosmith users enjoy being more competitive and more successful in their industry! SPEED - Installed 7 to 10 X Faster! Exceptional bond & compressive strengths with various substrates! Little to 'No' fastener waste (at times 20% - 30% saved)! Improve project scheduling & completion times! (get one task done faster, the others follow....think Green too)! Aerosmith Fastening System's select products are proudly "Made in the U.S.A" with its 'distributor friendly' world headquarters located at "the Crossroads of America" in Indianapolis, Indiana. The Team at Aerosmith truly thanks you for your business, support, and loyalty! Aerosmith will grow through innovation, add value for customers, and create wealth and security for our owners and employees while maintaining Company Value. SPEED, PRODUCTIVITY & PERFORMANCE – Simply Faster! 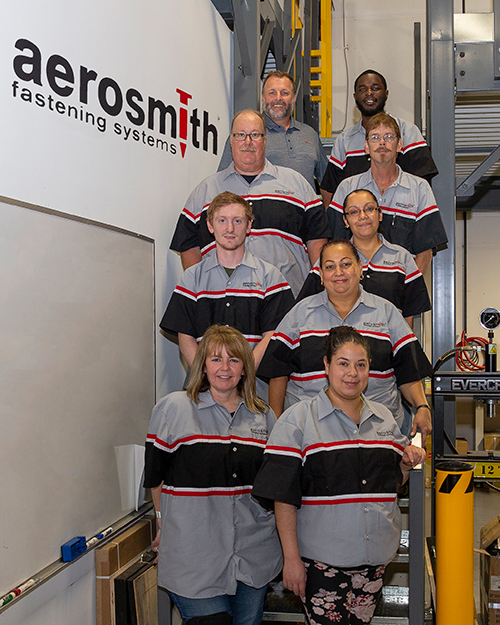 Aerosmith’s industry knowledge helps cut costs- Productivity 7 to 10 times faster than conventional fastening. 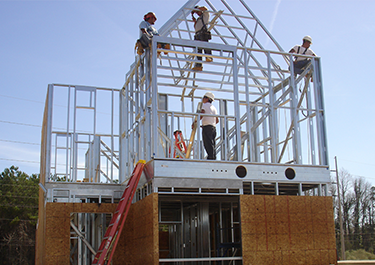 Building Code Evaluations for multiple applications – Reduce whole project costs!